They say hindsight is a wonderful thing, a Vision into the future is even better. Mid Coast Partners, through Vision can help you use todays information and use it to plan your business’s future. Vision is the most advanced tool available to help business owners with not only their reporting but forecasting too. 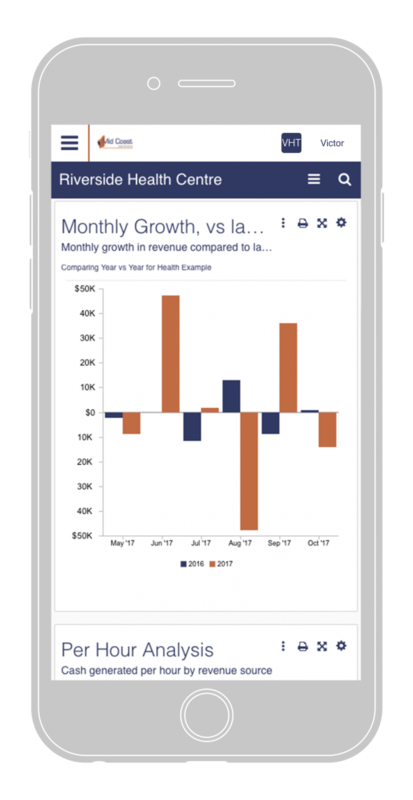 Vision will sync with your cloud based accounting software, read your data and instantly provide reports for planning, budgeting and forecasting. Vision is available at any time and on any device with internet connection so you can have access to up to date and meaningful data at any time. Key data is readily available in easy to read graphs and charts. Non-financial data can also be added to make reporting more meaningful. With good forecasting and planning you can secure and accelerate your business growth. Any Accountant can show you the past. Let Mid Coast Partners give you clear Vision of the Future. 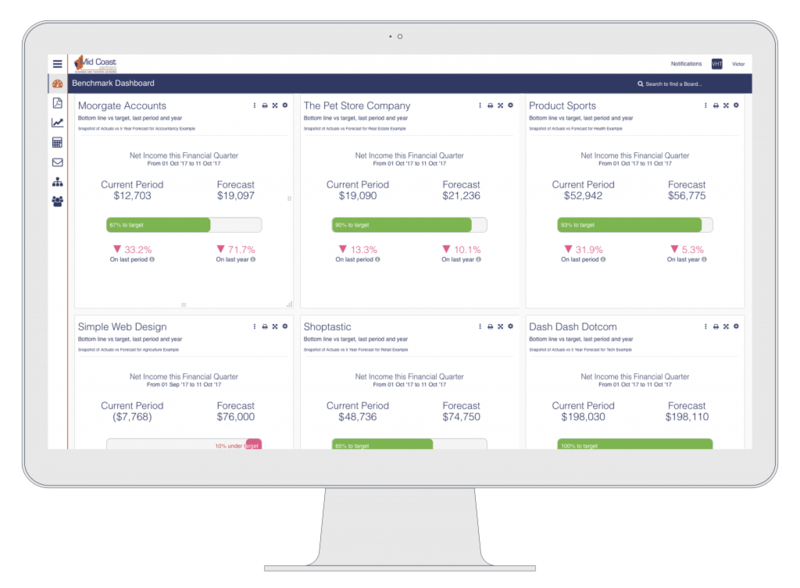 Construct detailed budgets for your business then monitor performance versus target on live dashboards. Analyze your business trends in order in gain a better insight of your business’ cycle. Create profit and loss statements and balance sheets to track your business performance and current financial position. 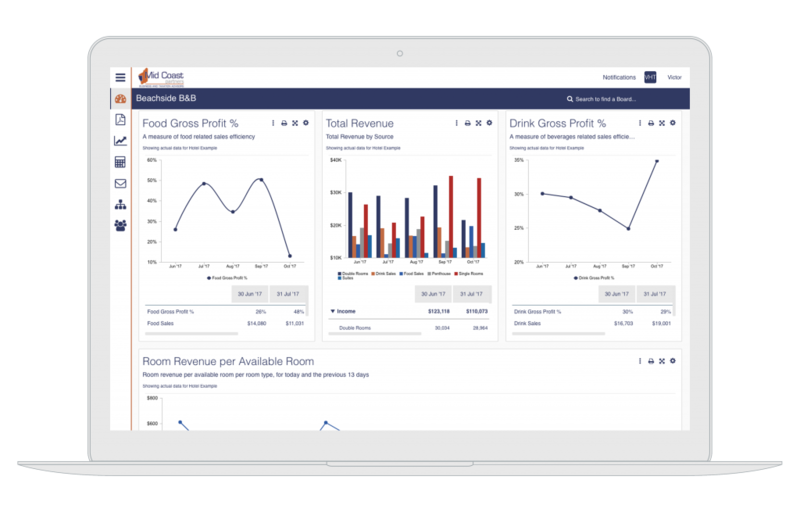 Produce advanced full three-way forecasting of your business’ Balance Sheet, Profit and Loss and Cashflow. Model various scenarios and explore what-if situations to plan for potential business outcomes. Properly manage and extend the life of your cash with developed short, medium and long-term business plans.